Mobile phone group O2 is gearing up to introduce a bring-your-own-device (BYOD) scheme to its operations in Europe and South America, following a successful roll-out in the UK. O2, part of Spain’s Telefonica, said the policy has helped its UK employees work in a more agile and flexible way, and at the same time reduced the load on O2’s IT support desk. Under the scheme, employees can choose whether to use standard O2 office equipment or register their own smartphones and laptops to use at work. So far, O2 employees have registered more than 1,200 personal devices in the UK, from a total of 4,700 used in the organisation. O2 is able to support iPhones, Android phones, PCs and Apple Macs. Adrian Dury, practice leader at Ovum, said O2 had a very interesting and structured BYOD policy, which considered both people and technology. "It's not just about device management – it's also an education process and provides a portal for self-support,” he said. O2 business consultant Nick Makin told Computer Weekly that introducing the BYOD programme had encouraged employees to use their home devices in a more secure way in the office. “There are always people who want to use different types of equipment. Either those people will do something to get around the policies you put in place so they can use their own devices, or you build an environment that lets them do it securely,” he said. The company began work on the project in 2011. It replaced Windows XP with Windows 7, to match the operating system employees were likely to use on their home PCs. It also introduced Apple Macs into the workplace to help the IT team assess the pitfalls and challenges of using them in a BYOD system. The company created a secure portal to manage all non-Blackberry mobile devices used across the organisation. O2 uses Zenprise mobile device management (MDM) software to control how mobile devices can be used in the scheme, which has been live for nine months in the UK. By using the same service for both company and personal devices, the mobile network provider is able to support employees' home equipment at no extra cost, said Makin. “We built the business case based on corporate devices, and then extended that to using personal devices,” he said. Under the scheme, employees can visit the portal and register personal laptops and mobile phones for use at work. “Because it’s a personal device, we can’t put an asset sticker on it. There needs to be a mechanism that allows you to identify a device," he said. O2 uses Citrix to allow staff to access company data. “It's not a replacement desktop PC, but it allows people to do basic tasks when they are not in front of a PC,” said Makin. 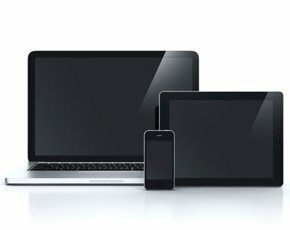 In return for the right to use their personal devices, employees assume responsibility for maintaining their equipment and ensuring devices are in working order when they need them. “You don’t want someone to turn up and say they can’t work because their battery is dead,” he said. Employees also allow O2 to install security software that enables IT staff to wipe any sensitive data if a mobile device is lost. The most challenging aspect of the project was aligning O2's corporate policies with the BYOD scheme, said Makin. “From a policy perspective, it is a lot wider than just thinking about a mobile phone. You have to think about all the other areas of policy that you are going to affect,” he said. For example, O2 has expanded its safe driving policy to discourage employees from using their personal mobile phones for business while driving. By giving staff access to corporate data through Citrix, rather than allowing employees to download data directly to their devices, O2 was able to side-step potential liability risks, Makin revealed. “If you want to store corporate data on a personal device, you have to ask who is responsible for anti-virus. And what happens if someone has not got a fully licensed version of software?" he said. Although employees can view data on their personal devices, they cannot email it, or print it on their home printers. “We stepped through the common scenarios. You have to have an answer because that is how you build your BYOD policy and your HR and security agreement,” he said. O2 decided against subsidising employees to buy their own equipment after research showed that employees were happy to cover the costs themselves. Some 52% of employees said they would use an existing personal device at work if they were allowed to do so, and 48% said they would be willing to buy a personal device to use at work, said Makin. “We have not offered staff £300 towards a device because we know there is enough demand [without that],” said Makin. The company saves around £400 for each person who decides to use their own laptop for work. Makin said the project has helped to change the image of O2's IT department, from an organisation that had a reputation for saying no, to a can-do organisation. BYOD is not open to everyone in O2, however, as it is not appropriate to give every employee remote access, according to Makin. “We require manager authorisation. To allow people to do it, there has to be benefit from the business perspective, as well as to the employee,” he said. According to Ovum's Drury, a growing number of companies are introducing bring-your-own-mobile policies as a pre-cursor to full schemes covering both mobile phones and laptops. “We are going to see more of this. The focus had been on bring-your-own-smartphone and bring-your-own-tablet. That is a gateway to bring-your-own-computer,” he said.